This article introduces emerging or contemporary topics & trends in project management academic research from 2012 – 2013. In a literature review based on 100 articles from more than five project management and management journals, we identify many new topics and 10 main trends that are not in project management body of knowledge (PMBOK). This article provides a summary of all the trends and topics from a bird-eye view. Further elaboration and interpretation on the topics will be published in subsequent publications. Project Management has been an established discipline decades. Professional Project Management communities recognize PMI (Project Management Institute)’s body of knowledge (PMBOK) as the de facto standards of project management across the world. At the same time, during recent years many research communities, including PMI itself, have been carrying out initiatives pushing boundaries of the body of knowledge. A lot of emerging and contemporary project management topics have been discussed in academic journals. These involved activities such as integration of knowledge from other traditional management disciplines; perceiving project management from different perspectives (such as social science); using research methods from other industries to study project management; Vertical integration of project management with other industry; Internationalization of project management. Of course many studies stretch from classic topics of project management and methodological research. This article provides a high level literature review of all the new topics, categorising them into around 10 trends or theme. This provides a highlight or executive summary of all the topics in one article, without elaborating deep into them. Deeper review of each trend will be provided in subsequent publications. One publication will also be provided to explain the technical terms in the 100 literatures. From the literature review, many articles attempt to challenge the existing project management body of knowledge. They are arguing the knowledge system is not practical enough to handle real situations. Some articles are trying to re-evaluate & rethink the effectiveness of the knowledge system in certain area. Some are using interdisciplinary, multidisciplinary and hybrid approach to improve the theory so that it is applicable in specific situations. Some are investigating areas that PMBOK hasn’t been addressed. Some are using knowledge in other disciplines to apply to Project Management Research. Some are studying the epistemology and the ontology of project management body knowledge and research. Please refer to the table below for details. Describes system for conducting post-project assessments and discusses a case study application of the system and the types of lessons learned. New, explicit, and integrated ontological framework to stimulate project management research. New collaborative approaches have been developed. This paper aims at adding to knowledge on projects-as-practice by interpreting findings from a case study on a contemporary collaborative construction project. Some difficulties and facilities are not in PMBOK, what & why? Outside PMBOK, relationship and organizational maturity and experience in project management is a success factor for the project. Suggest a misalignment between the intended benefit of PMMs at the strategic level and the reported benefits by project managers at the project level. Additionally, it is shown that practitioners' expertise, accountability, and attitudes all have a direct influence on the extent to which PMMs contribute to and benefit the management of projects. Opens a space for us to rethink how we research, teach, and talk about project management. Proposes a method based on a systems approach to handle the complexity of the management process. This section talks about research methods and knowledge disciplined used in those literatures. 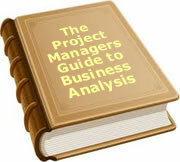 Many of them are contemporary that no one have use those methods to study project management before. Another article will be written to talk more about those research methods and perspectives. One main theme pulled out from the literature review is “contextual project management”. One simplistic interpretation of this concept would be “ In order to have better project management, we need to understand the context, background and situations of the projects. The following articles go deep in studying the role of “context” in project management. Spirit affects employees' contextual performance behaviour, which in turn affects success as proposed. The results confirm some well-known assumptions about practices, but at the same time produced unexpected results that can stimulate the development of new practices adapted to highly uncertain contexts. Project management research communities have been exploring new directions and areas to expand the knowledge. One direction is that they are trying to integrate project management into vertical industries. Another direction is to trying to conduct their research in different countries across the world. These vertical industries and geographical integration enrich a lot of contextual (industrial, technical, and cultural) knowledge while studying project management. Academia, construction, customer relationship management (CRM), economics, Education, energy, oil and gas, engineering, enterprise, government, aerospace, health, high tech, infrastructure, international development, IT, manufacturing, mega construction, Pharmaceutical, public administration, public sector, Defence, R&D, sales, small medium size business, software development, supermarket, system integration, telecom, automobile. Africa. Austria. Germany, Switzerland, Brazil, Canada, China, Libya, the Netherlands, Hong Kong, Australia, Iran, Jordon, Latin America, Panama, South Africa, South America, Sri Lanka, Sweden, Taiwan, Turkey, US. Many articles study project management of innovation and creative processes, complex design, research and development. This is an emerging area that is now bringing more public awareness and high tech industries play an important role nowadays. Many of the articles study how knowledge can be shared, managed, collaborated, collected and created. Misaligned innovations are aligned through a process of task sequence alignment, knowledge base alignment, and work allocation alignment. Our findings are important; they suggest that implementing systemic innovations in project networks is a multistage inter-firm process. Propositional theoretical model of boundary object–mediated negotiation in global design project networks. KS has a direct effect on team creativity and that the relationship between KS and team creativity is moderated by project environment, where more task-centric KS will be required when the environment is dynamic. Interrelated process development and product development activities; project manager needs both production and product-related competence, including customers' processes. Knowledge integration are discussed through the concepts of interaction, interface element, absorptive capacity, and motivation to transfer knowledge. Percentage of knowledge workers on a project team and project objectives had positive associations on performance. HR management studies about stakeholder behaviour. Interestingly, recent studies explicitly talks about how dark side of human beings play a role in project management. They also suggest what project management can do to prevent bad things happen even being sinful is part of human nature. Enable managers to address stakeholders more effectively through an increased understanding of stakeholder behaviour and its consequences. This research examines the relationship between ambiguity acceptance and customer and organizational outcomes within the Six Sigma improvement project context. Investigates the antecedents of ambidexterity and the effect of ambidexterity on project performance. Reports the findings from an ongoing action research program to assess the impacts of stimulating constructive dialogue around behaviours on team performance, using metaphor as a catalyst. Project Management activities have been expanding the scope from industrial projects to public sectors projects. Many of the projects are international economic development projects in developing countries. Public administration, public policies management, geographic dispersion, and cultural context largely increase the complexity of project management in those international development projects. Formal communication plan Associating communication mechanism most appropriate to users. Identify the level of influence of each actor in this project. The study therefore recommends revision of existing legal contracting frameworks to explicitly deal with the ills of ineffective resources management and training of contractor site staffin site resources management practice. detect which competences are the most relevant in international cooperation for development context. Reviews the merits of project governance in linking policies to projects and focuses on public investment projects in African countries. PM adds values but not every component of the model does the mimetic and coercive isomorphism to ensure the achievement of goals and financial efficiency of the projects analysed. Program and portfolio management have never been an new area of study in project management era. Researchers recently have been trying to push the boundary to strategic level. These studies mostly talk about strategic alignment. The more time a managers spends doing strategic planning, the more they are inclined to spend time doing balanced scorecard activities and believe that their performance is increased. governance structures and the roles, responsibilities, and practices of portfolio managers. principles of sustainable development transcended both short-term needs and long-term responsibility, facilitating the alignment of the strategic and tactical plans. Risk Management is one of the most important area in project management. Researchers are trying to expand the boundaries of PM risk management to general risk management, contingency management, business continuity, safety etc. The new topic of uncertainty management has been appeared in many studies. use gut feelings; knowledge, experience, and communication skills are increasingly important in complex situations. We conclude with a list of early warning signs. Traditional project management deal with projects in large organization. Recently, awareness have been brought to small medium size business (SMB). We need project management practices that are tailored made for smaller size business. As small businesses allied together as partnerships to do make business, project management in partnership is studied. Competency management becomes important when large construction projects hired international ut source small business partners to work on those projects. This section addresses topics that are contemporary but cannot be pulled out as a separate theme. For example, study the project management of some roles in the projects that have nt yet been addressed such as end users and suppliers. Project management represents the model of managing the company's flexibility and adaptability to the changes in the environment i.e. the dynamic optimization of business performance and the development of a company's competitiveness. Investigate difficulties, complexity and uncertianity during project - project transitions. user coproduction has a positively significant influence on project outcomes, and social capital between user representatives and developers is also associated with user coproduction. This section talks about advanced research on existing PMBOK topics. Specific managerial actions, organizational conditions, and work processes are suggested for fostering a project environment most conducive to effective cross-functional communication and collaboration among all stakeholders, a condition important to early risk detection and effective risk management in complex project situations. Positive relationship between project risk management and project success. Highlights the three components of portfolio risk management: organization, process, and culture. to understand if and how risks change during the course of a system development. Using a framework developed from socio-technical theories, we conduct a multiple case study to determine the pattern of risk dynamics through the stages of the development life cycle. all project managers view a flexible and conducive work environment as bearing a strong relationship with the triple constraint of project management. Aarseth. (2012). Practical difficulties encountered in attempting to implement a partnering approach; Aarseth, Wenche ; Andersen, Bjørn ; Ahola, Tuomas ; Jergeas, George . International Journal of Managing Projects in Business 5.2 (2012): 266-284. Apking, Ted. ISHN 46.7 (Jul 2012): 32-33. Baird. (2012). Planning and Sprinting: Use of a Hybrid Project Management Methodology within a CIS Capstone Course Baird, Aaron ; Riggins, Frederick J . Journal of Information Systems Education 23.3 (Fall 2012): 243-257. Berk. (2012). A Risk Management Proposal to the International Contractors Industry from the Financial Perspective; Berk, Cem. Journal of Applied Finance and Banking 2.5 (2012): 199-216. Bomfin. (2012).Project Management By Pmbok Guide: Challenges For Managers; David Ferreira Bomfin; Paula Cristine de Ávila Nunes; Hastenreiter, Flávio. Revista de Gestão e Projetos 3.3 (Sep/Dec 2012): n/a. Buijs. (2012). CONNECTIVE CAPACITY OF PROGRAM MANAGEMENT: RESPONDING TO FRAGMENTED PROJECT MANAGEMENT; Buijs, Jean-Marie; Edelenbos, Jurian . Public Administration Quarterly 36.1 (Spring 2012): 3-41. Burström. (2012). Transition processes in an interorganizational platform project; Burström, Thommie ; Jacobsson, Mattias . International Journal of Managing Projects in Business 5.3 (2012): 400-419. Chigara. (2012). AN ANALYSIS OF THE IMPLICATIONS OF RESOURCES MANAGEMENT ON BUILDING PROJECTS PERFORMANCE IN HARARE AND BULAWAYO; Chigara, Benviolent; Mangore, Ellen. International Journal of Marketing and Technology 2.9 (Sep 2012): 144-170. Chu. (2012). Team Members' Flow Experiences and their Influence on Project Performance; Chu, Li-Chuan; Lee, Chen-Lin; Wu, Chang-Jer; Hsu, Kun-Feng. The Journal of Human Resource and Adult Learning 8.1 (Jun 2012): 46-55.
de Oliveira. (2012). VALUE CREATION FROM ORGANIZATIONAL PROJECT MANAGEMENT: A CASE STUDY IN A GOVERNMENT AGENCY; de Oliveira, Warlei Agnelo; De Muylder, Cristiana Fernandes. Journal of Information Systems and Technology Management : JISTEM 9.3 (2012): 497-514.
de Souza. (2012). The Process Of Communication In Project Profisco / Rn Marconi Brasil Soares de Souza; Adriano Almeida Rodrigues . Revista de Gestão e Projetos 3.3 (Sep/Dec 2012): n/a. Gustavsson. (2012). Boundary action in construction projects: new collaborative project practices; Tina Karrbom Gustavsson ; Hayar Gohary. International Journal of Managing Projects in Business 5.3 (2012): 364-376. Hällgren. (2012). Relevance lost! A critical review of project management standardisation; Hällgren, Markus ; Nilsson, Andreas; Blomquist, Tomas ; Söderholm, Anders .International Journal of Managing Projects in Business 5.3 (2012): 457-485. Hoss. (2012). Investment Projects Based On Strategic Planning: A Case Study In A Factory For Supermarket Trolleys; Hoss, Osni; Zenci, Shirley Denise; Alvaro Guillermo Rojas Lezana. Revista de Gestão e Projetos 3.3 (Sep/Dec 2012): n/a. Ika. (2012). The project planning myth in international development; Ika, Lavagnon A ; Saint-Macary, Jan . International Journal of Managing Projects in Business 5.3 (2012): 420-439. Jean-Charles. (2012). THE IMPACT OF STRATEGIC PLANNING AND THE BALANCED SCORECARD METHODOLOGY ON MIDDLE MANAGERS' PERFORMANCE IN THE PUBLIC SECTOR; Jean-Charles, Marin. International Journal of Business and Social Science 3.1 (Jan 2012): n/a. Juliani. (2012). A Model For Building Projects On Knowledge Base In Organizations, Supported By Collaborative Tools; Douglas Paulesky Juliani; Jordan Paulesky Juliani; Janine da Silva Alves Bello; de Souza, João Artur. Revista de Gestão e Projetos 3.3 (Sep/Dec 2012): n/a. Kerzner. (2012) How The Seven Deadly Sins Can Lead To Project Failure: Kerzner, Harold . Revista de Gestão e Projetos 3.3 (Sep/Dec 2012): n/a. Koskine. (2012). Knowledge integration in systems integrator type project-based companies: a systemic view; Koskinen, Kaj U. International Journal of Managing Projects in Business 5.2 (2012): 285-299. Laruccia. (2012). Project Management In Research And Development; Mauro Maia Laruccia; Plínio, Célio Ignez; Gilmar Jonas Deghi; Mamerto Granja Garcia. Revista de Gestão e Projetos 3.3 (Sep/Dec 2012): n/a. MacDonald. (2012). Value for money in project alliances; MacDonald, Charles ; Derek H.T. Walker ; Moussa, Neveen. International Journal of Managing Projects in Business 5.2 (2012): 311-324. Mistarihi. (2012). Competency Requirements for Managing Public Private Partnerships (PPPs): The Case of Infrastructure Projects in Jordan; Mistarihi, Ali M ; Al Refai, Mohammad S; Al Qaid, Bader Ayed; Qeed, Marzouq A. International Journal of Business and Management 7.12 (2012): 60-73. Piperca. (2012). A typology of unexpected events in complex projects; Piperca, Sorin; Serghei Floricel. International Journal of Managing Projects in Business 5.2 (2012): 248-265. Pollard. (2012). Lessons Learned from Client Projects in an Undergraduate Project Management Course; Pollard, Carol E . Journal of Information Systems Education 23.3 (Fall 2012): 271-282. Schroeder. (2013). POST PROJECT ASSESSMENT: AN ART AND SCIENCE APPROACH; Schroeder, Harold. Academy of Information and Management Sciences Journal 16.1 (2013): 37-45. Sergi. (2012). Bounded becoming: insights from understanding projects in situation; Sergi, Viviane. International Journal of Managing Projects in Business 5.3 (2012): 345-363. Sicotte. (2012). Marketing and technology strategies for innovative performance; Sicotte, Hélène ; Drouin, Nathalie; Delerue, Hélène . International Journal of Managing Projects in Business 5.2 (2012): 195-215. Smits. (2012). Chaperoning: practices of collaboration in the Panama Canal Expansion Program; Smits, Karen; Alfons van Marrewijk. International Journal of Managing Projects in Business 5.3 (2012): 440-456. Taylor. (2012). Information technology project risk management: bridging the gap between research and practice; Taylor, Hazel ; Artman, Edward; Woelfer, Jill Palzkill . Journal of Information Technology 27.1 (Mar 2012): 17-34. Thilmany. (2013). PROFESSIONAL NETWORKING; Thilmany, Jean . Mechanical Engineering 135.1 (Jan 2013): 41-45. Thomas. (2012). Re-situating expert project managers' praxis within multiple logics of practice; Thomas, Janice ; Stella, George; Pamela Buckle Henning. International Journal of Managing Projects in Business 5.3 (2012): 377-399. Turner. (2012). Project management in small to medium-sized enterprises; Turner, Rodney; Ledwith, Ann ; Kelly, John . Management Decision 50.5 (2012): 942-957. Wang. (2012). The Effect of Project Environment on the Relationship between Knowledge Sharing and Team Creativity in the Software Development Context; Wang, Mei-Hsiang; Huang, Chen-Fen; Yang, Tarng-Yao. International Journal of Business and Information 7.1 (Jun 2012): 59-80. Waters. (2012). An Empirical Study of Large-Sized Companies With Knowledge Work Teams and Their Impacts on Project Team Performance; Waters, Natalie M ; Beruvides, Mario G, PE . Engineering Management Journal 24.2 (Jun 2012): 54-62. Yüksel. (2012). Evaluation of the Success of Six Sigma Projects by Data Envelopment Analysis; Yüksel, Hilmi. International Journal of Business and Management 7.13 (2012): 75-84. Zdravko; Samarzija, Luka. International Business Research 5.12 (Dec 2012): 99-111. Project Perfect is a project management software consulting and training organisation based in Sydney Australia. Their focus is to provide organisations with the project infrastructure they need to successfully manage projects. To date, 73 people have rated this article. The average rating is 1.11 - Add your rating. Just select a rating and click the button. No other information required.